Tanigawadake, one of the most famous mountains in Japan, is between Gunma and Niigata prefecture. Kinsekan Seseragi is located in the southern part of Tanigawadake. Surrounded by beautiful nature you can enjoy a different mountain-view for each season. Once you step into the peaceful atmosphere of our establishment, we have a lobby that reflects our peace with nature. As you circle around the enclosure you can you can enjoy the changing seasons. Hot spring selected as a heritage of hot spring is 100% natural. 4 veterans supervise the hot spring so that they all stay in an appropriate temperature. It will be a fantastic experience to enjoy hot-spring while surrounded by nature. The chef is also particular about seasonings such as using selected natural salt, miso, and local soy-sauce. These beautiful plates will for sure satisfy your palate. 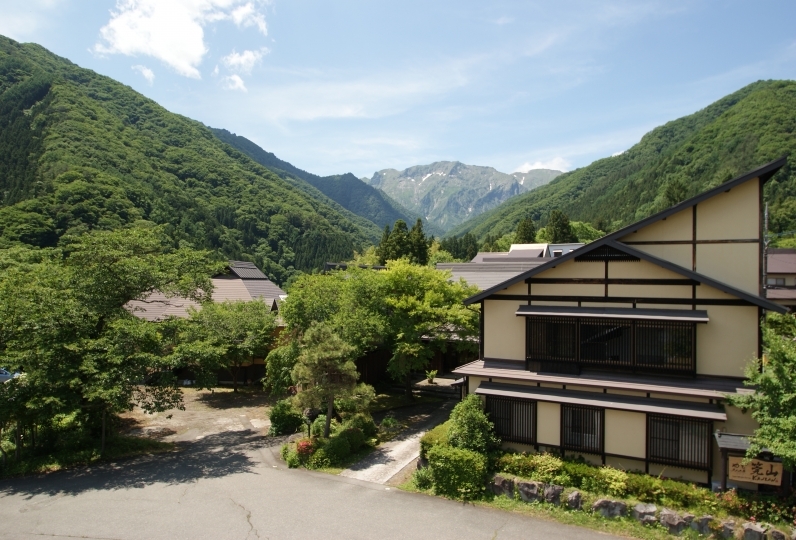 You can enjoy a beautiful mountain-view, hot springs, and delicious dishes at the same time. Seeking “Comfort"? How about visiting Kinseikan Seseragi? I liked the trip and stayed at many inns, but the inn was very happy in all. 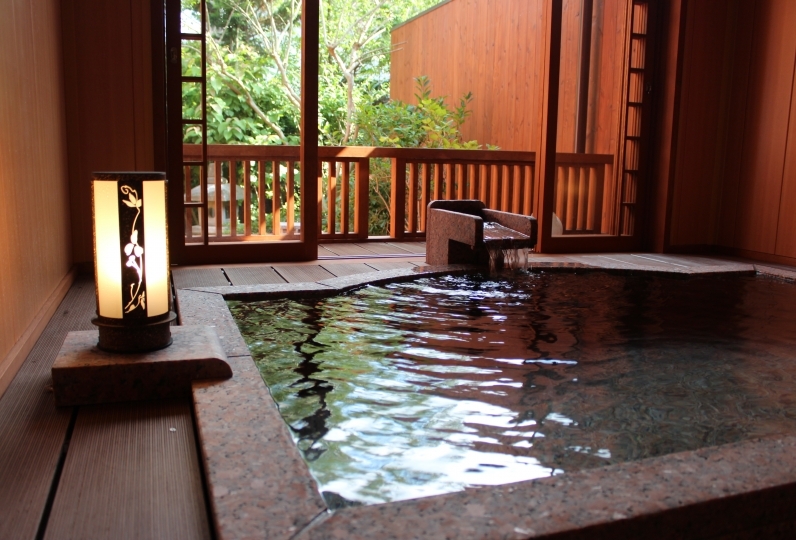 Hinoki's open-air bath with meals in the room was also the best. In other words, since the foot wiping mat of the clothing room of the mixed bathing outdoor bath was dirty, I thought that I wish I could change it frequently. In addition, it became one of the inn you want to stay at all means. 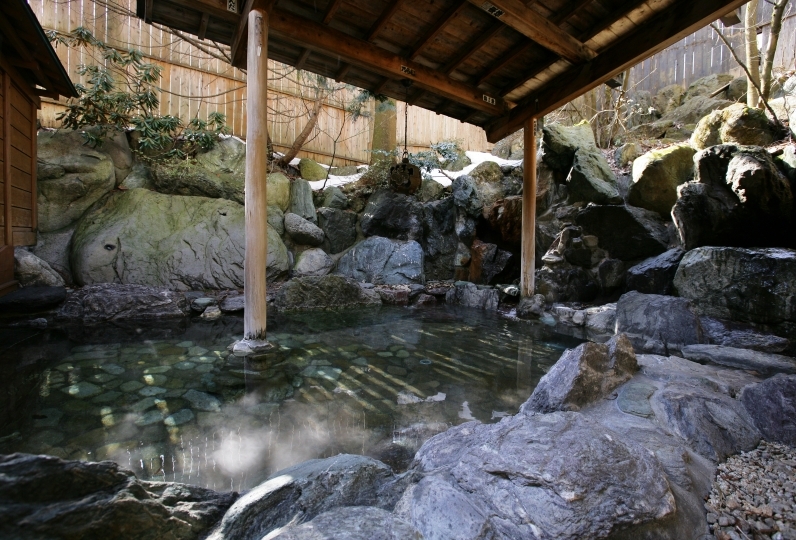 The outdoor bath in the room was a natural hot spring, cleaning was perfect and it was possible to enter anytime during staying, so I could fully enjoy going to the big public bath. I was able to spend substantial time with hospitality that I had never experienced in facilities that I have stayed so far. Moreover, on the way home, I got a car window wipe and a message of thanks in the car, and I was touched by the detailed care. Thank you very much. The onsen sprinkling hot spring was also good, and the inn was clean and clean and I was satisfied. 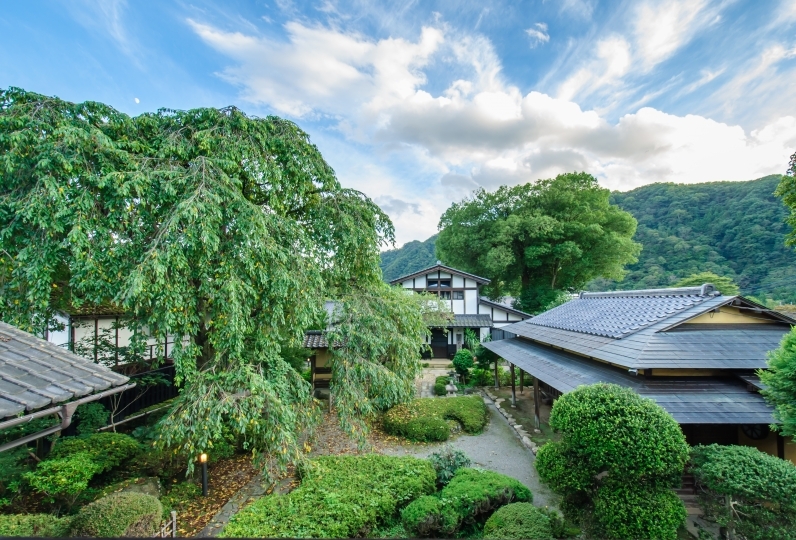 We have 4 kinds of natural hot spring and all of them are 100% gensen kakenagashi (All the hot spring comes from the source) and is selected as an Onsen heritage. 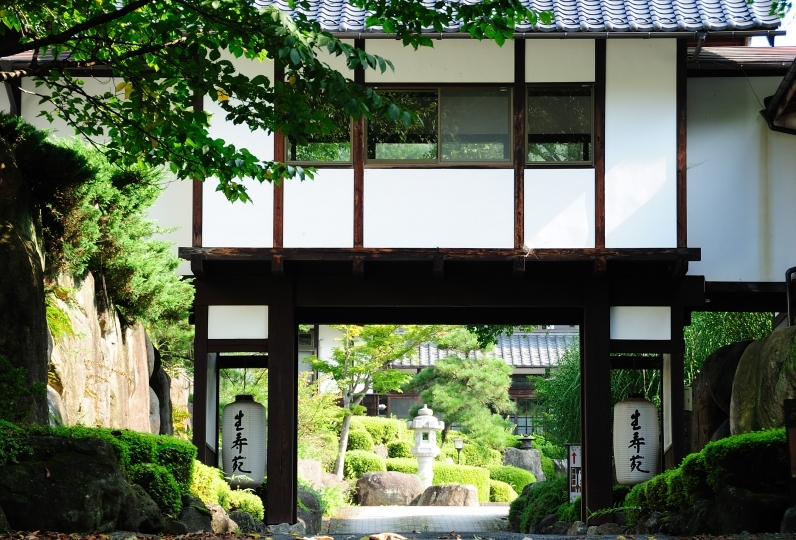 Enjoy the breeze as it passes through the trees, the sound of the Tanigawa river, and the chirping of the birds. ・Mixed hot spring “Seseragi”: 7am-10am are for women only. 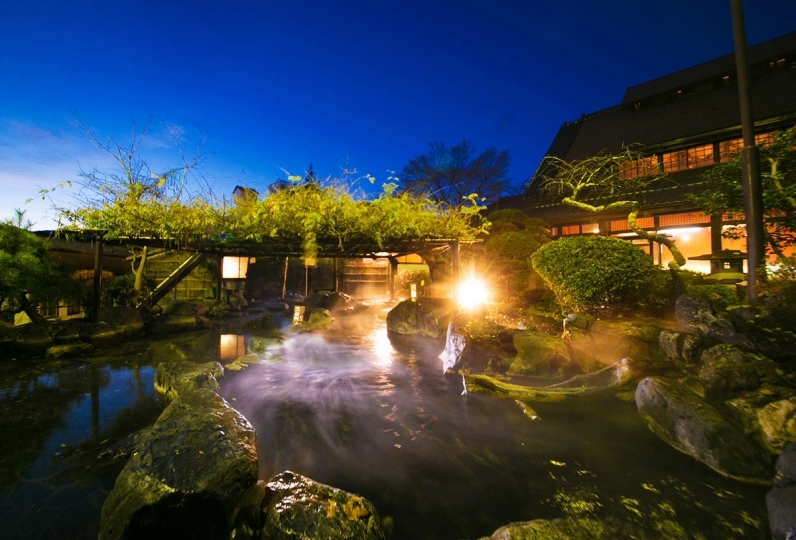 From 12am-5am, it is possible to reserve the hot spring. 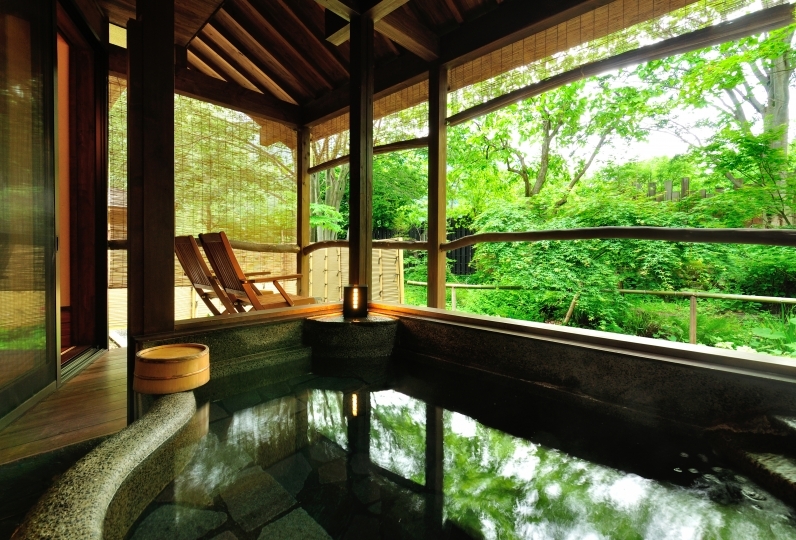 ・Large public bath: both inside and outside hot sprig are available for both male and female. 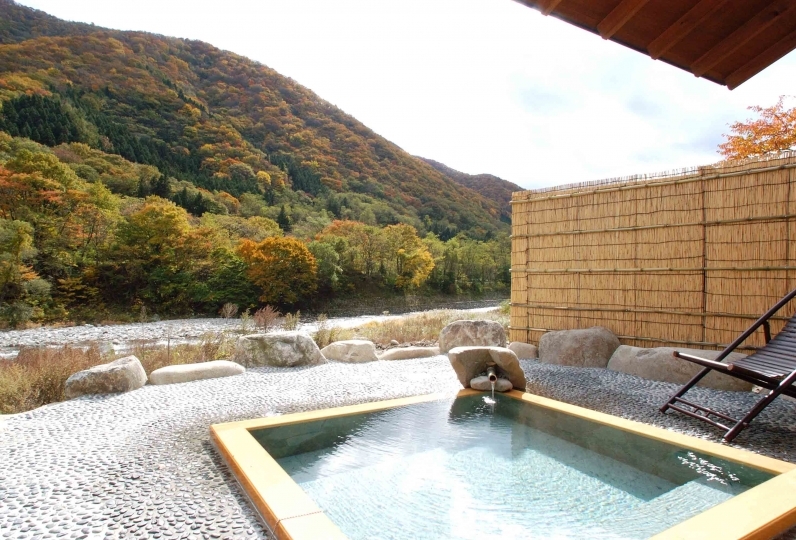 ・Private hot spring “Sakuyahimenoyu” is perfect for family. Children under the age of 1 may stay for free (No food and futon provided). Please do not put your child under 1 during your reservation. Please write it down in the comment section. If there are any sections that are unclear please contact our Relux concierge.